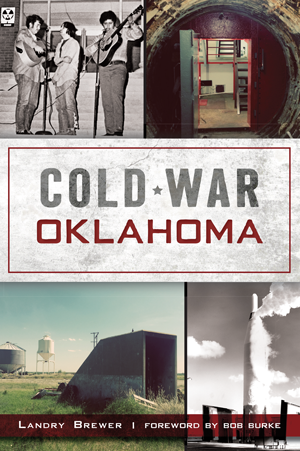 Oklahoma might seem like an unexpected place for Cold War tensions to boil over, but the state played a key role in a conflict that threatened global annihilation. Altus Air Force Base served as a hub for twelve intercontinental ballistic missile launch sites; in 1964, a missile housed at the Frederick site exploded, although the nuclear warhead remained unaffected. Ordinary citizens lived under the shadow of nuclear war as well. A former OU faculty member accused of committing espionage for the Soviet Union fled the country, while a SWOSU professor dug his own fallout shelter in Weatherford—by hand. During the Cuban Missile Crisis, an emergency siren malfunction sent terrified Elk City parents scurrying to local schools to pick up their children. Landry Brewer presents a fascinating cross-section of the era, from top-level strategy to the details of daily life. Landry Brewer is Bernhardt Scholar and instructor of history for Southwestern Oklahoma State University and teaches at the Sayre campus. Although he has been published multiple times in the journal of the Oklahoma Historical Society, several times in western Oklahoma newspapers and has written two one-act plays that have been performed, this is Brewer’s first book. He and his wife, Erin, have five children and live in Elk City.